Adding personal touches throughout your house is what ultimately translates it to a home. Whether those personal touches are photographs, wall art, collections from travels or family heirlooms, they tell a story and are the pieces that make your home uniquely yours. 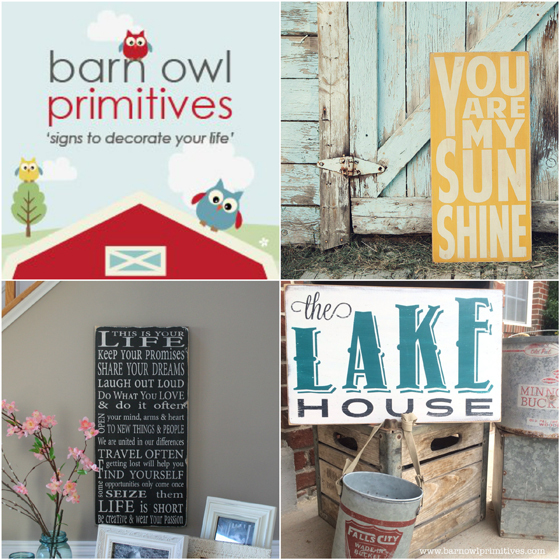 This week's giveaway host, Barn Owl Primitives, is an Etsy shop focused on helping you to bring something meaningful and special into your home. 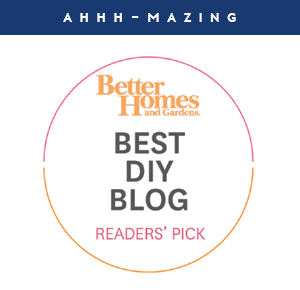 I am such a fan of supporting fellow small business owners and Kristi's story is beyond inspiring and one that displays hard work and dedication. She started her shop a few years ago when some of her handcrafted Christmas gifts became a demand amongst friends and family. 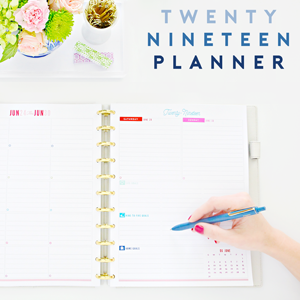 From there, she began expanding her offerings, while also diving deep into what makes a small business tick. Kristi stayed focused on creating beautiful signs and growing her shop and her work ultimately landed on the walls within the Etsy Corporate offices in NYC and MTV's offices in London. As amazing as that is, those successes are not what make Kristi's heart flutter. What really drives her passion for what she does are the custom signs she creates for her customers. Those custom signs are filled with quotes said by a father, private poems read to a child and words of encouragement and strength to a granddaughter. That is what makes the signs in the Barn Owl Primitive shop so special. 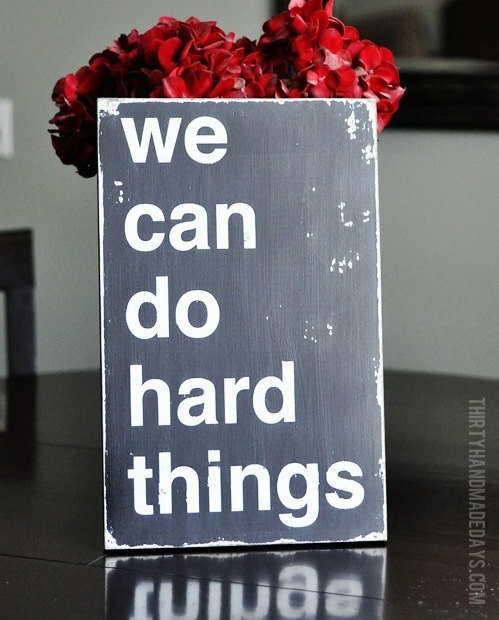 Each one is hand painted by Kristi herself and any sign can be customized to your preferred color scheme. A few years of dedication and now Kristi's hand-painted, original works of art are sold exclusively through her Etsy shop, however, you can also find licensed reproductions on canvas and paper in retail locations including Target, HomeGoods, Hobby Lobby, Bed, Bath & Beyond and World Market! 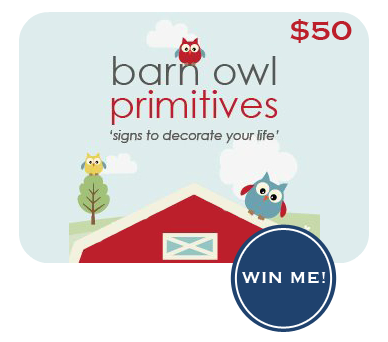 This week, I am honored to be giving away two $50 Barn Owl Primitives gift certificates! 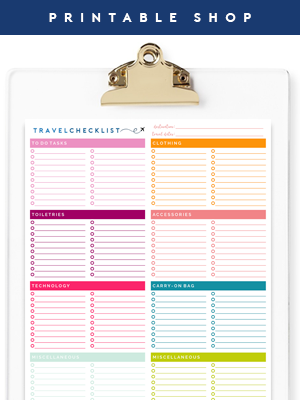 The hardest part will be selecting the cherished words you wish to grace your walls. Hopefully an additional 15% off your order will help with that! 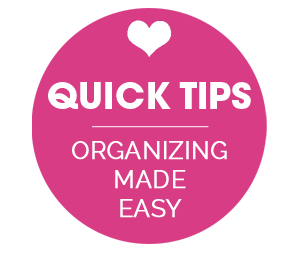 Just enter ORGANIZE15 at checkout, valid until June 1st. 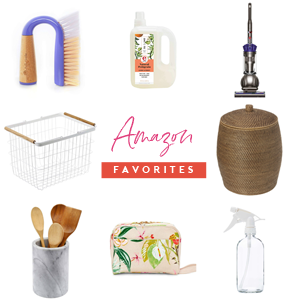 I would love to win this giveaway! :) In the process of moving - it would be a great start! Love your posts, thanks for sharing your ideas!! Wow! Thanks for letting us know about this awesome small business! This is a really inspiring story. I can't wait to read more about Kristi's journey, as I have a dream very similar of my own! I'll be checking out her shop! Thanks for a great giveaway Jen, and for making it open to Canadians! Oh My Gosh!! I love the You are my Sunshine sign!! What a great story! Thanks so much for doing this giveaway!! I love her story.....so encouraging! I love her work, thank you for the giveaway! Love her work! Thank you for hosting this giveaway. Her story is an inspiration to other small business owners. Her work is great! I've been admiring it for awhile. What a great giveaway! I have one of her signs on it's way to me now, but would love so many more!